These beautiful pictures are all given from Mr. Higejii lives in Kyoto. If you want a big one, then maymama will mail you more big one. He allows me to show these pictures to you! if you visit Kyoto, you have to visit here. 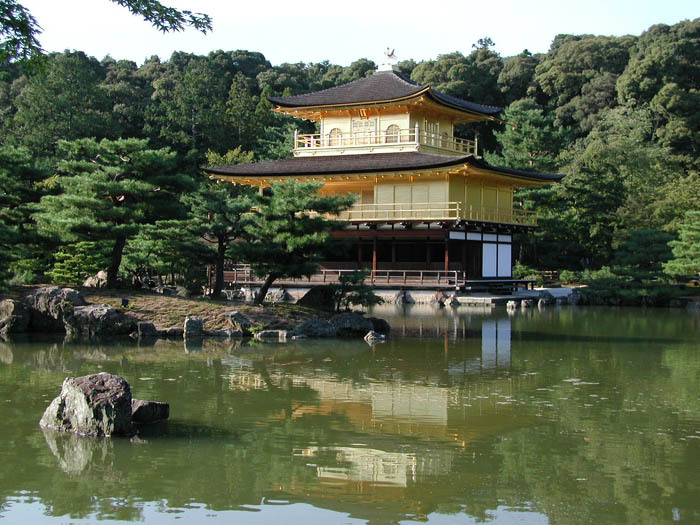 also many people in japan love to visit there. the temple you can see here is rather higher from the ground. 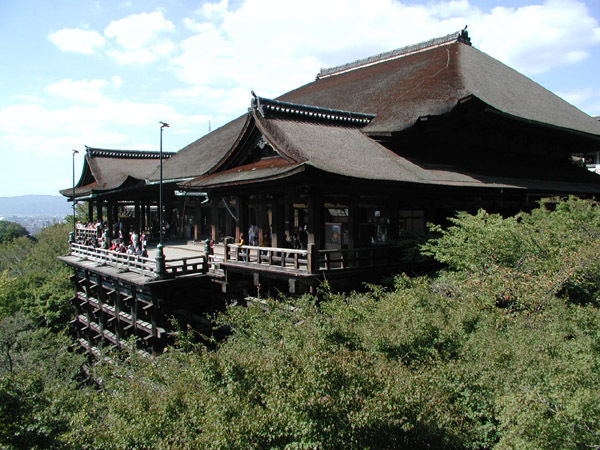 in Japanese proberb, "Jump from the Kiyomizu terrace(?)" it means "you need a strong will to do it with fear"
to look down from there, you will feel fear!!! 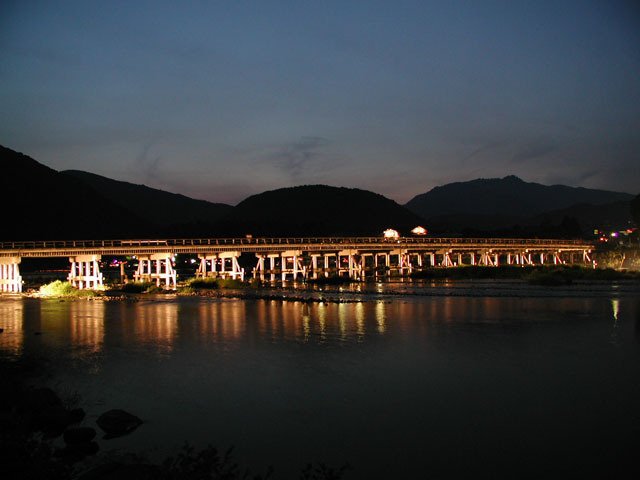 This is a picture of "bridge of togetsu" at summer festival in Arashiyama. togetsu means " reach to the moon "
there was light up seane. i will comment after Higejii send it to me! my vocaburary is so poor that i cannot comment much! This is a picture of "Houtou & Gomadou" from pond of Oosawa in Daikaku Temple. 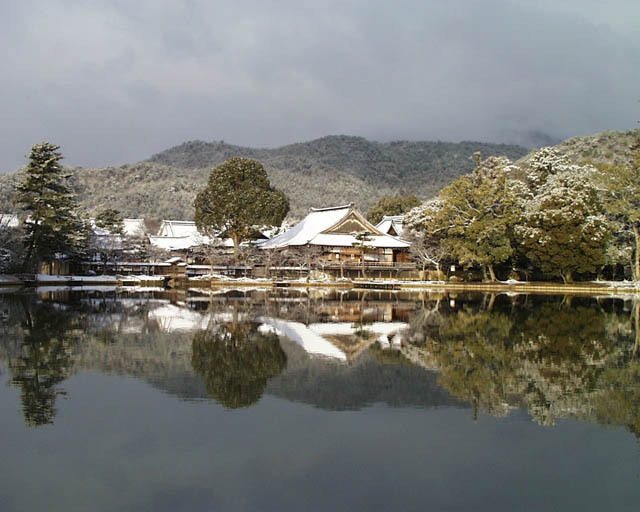 in winter, Kyoto is very cold and snows a little. and so beautiful that many people visit there. This is the main temple of Daikaku-ji from Oosawa pond of Daikaku-ji. this is in winter, too. Japanese temples are not looks like yours, I think. 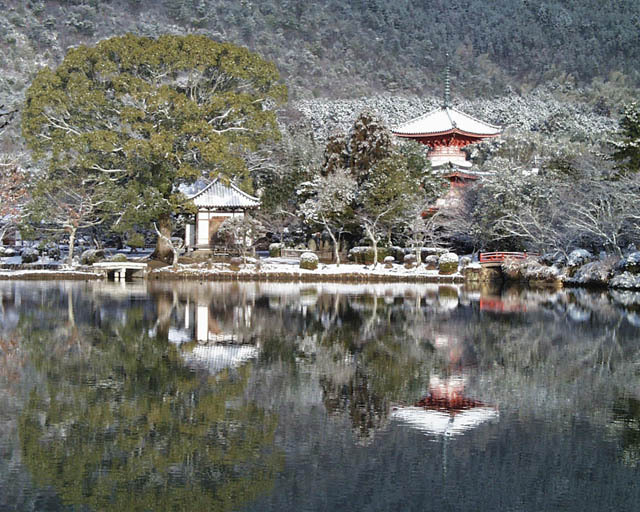 every season, in Kyoto, you can see many beautiful sightseeing. and Higejii will show you such beautiful pictures. maymama and her Japanese friends are enjoying his homepage. but his page is only Japanese, so he allow me to show here!